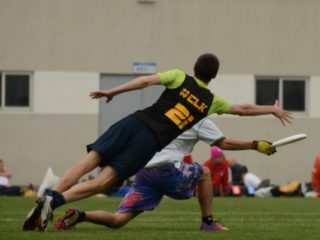 Andrew, an American born Chinese ultimate player who lived in China a few years ago, wrote the above in a blog post about the spirit of the game. This past summer, I took a 100 day solo cycling journey through Europe, and one of my goals was to learn and play ultimate with as many ultimate teams as possible. Along the way, I remembered this quote and frequently thought back on how lucky I was to have discovered this sport. In my opinion, the spirit of the game means to spread the love of ultimate and a sense of community not only including your teammates, but also your opponents. My name is Xu Jiangjun, but I am better known as “Ivan”. I was born and raised in China. In 2007, I attended my first tournament in Shanghai and immediately fell in love with this great sport. Since then I have played ultimate in 10 countries, and my passion for the sport has only become stronger since. From June 18 to September 15, I cycled across 11 European countries, making it one of my goals to learn and play ultimate with as many teams as possible. Due to the unusual nature of my journey, I was profiled by media in a few different countries, including CCTV-4, Estrepublicain.fr, Pärnu Postimees, Belarusian CTV, Russia-Belarus TPO TV and OHT TV. I was amazed by how friendly the ultimate community in Europe is. In the Latvia National Championship, the tournament directors gave me a special prize in the award ceremony because I was the only Chinese player to ever play in their national tournament. In the Estonian championships, the tournament director offered to waive my camping fee. In Dresden, Germany, people would buy me beer after training. In a practice scrimmage with Voujeaucourt Free-vol in France, the captains gave me more playing time than their own players, simply because I was a visitor from far away, even though I just cycled 10 hours that day in order to make the practice. In Sweden, I stayed with ultimate player Henrik Jonasson’s family, even though I didn’t know him before. In order for me to find his house more easily, he put a disc in the entrance, so I could tell the right place with a big smile in my face. The list of kindness I received goes on and on. The touring cyclist legend Heinz Stücke once said “a bicycle is the best passport for travel”. I believe the same thing could be said about a disc. 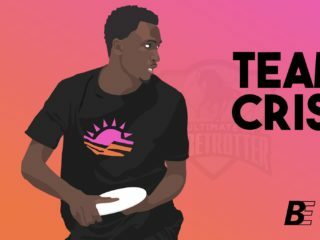 My trip in Europe once again re-affirmed my belief, that ultimate is such a great, inclusive sport that allows people to play hard and be friends at the same time. What is ultimate to me? To put it shortly, it is my common language with foreign teams and teammates, my business card while I travel, and above all, it is all of the goodness that I see in its community. In 2007, I was studying at the China University of Geosciences (CUG), when one of my professors, an American named Dane Robbins, invited me to play ultimate. Like many other Chinese students in my generation, I was intensely focused on my studies. I had no time for even well-known sports, much less a sport that sounded like it came from an alien planet. But as soon as I saw the beautiful trajectory of a flying disc and had the chance to meet friendly people, I was sucked right in. Sadly, Dane left my university soon after my first tournament for further study in the UK, but before he left, he gave me two discs. I felt a big responsibility to get such valuable gifts from Dane, and made a decision to make the best use of those two discs. I started to teach other students ultimate at CUG. 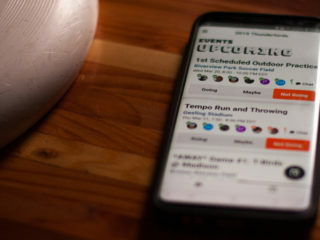 With the help of a few other students, we were able to register our team as an official university club, thus planting the seed of ultimate for future generations. Kevin Close, a Carleton graduate who moved to China in 2010 for work, volunteered to coach CUG Ultimate in his spare time. He worked relentlessly to build our team’s camaraderie, and taught us up from the basic to the advanced. In order to fund our team travel to Beijing to play Chinese Nationals, he often called his dad and brother to donate money, as well as chipping in on his own. Later, in 2011, NYU graduate Zach Finkelstein joined Kevin in the coaching position, and spent more than 3 years helping CUG Ultimate develop. With the help of Dane, Kevin and Zach, and the consistent hard work CUG players have put in, we finally won the Chinese National Championship in 2014. 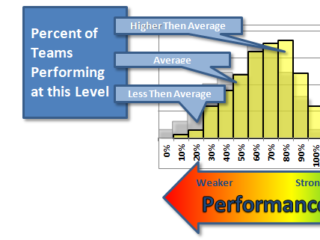 CUG Ultimate is a typical example of how ultimate teams form and develop in China. Most teams are started by foreigners who volunteer to coach and train Chinese players and lead them to tournaments all around the country. However, with constant turnover as expats come and go, it’s hard to see consistent progress. 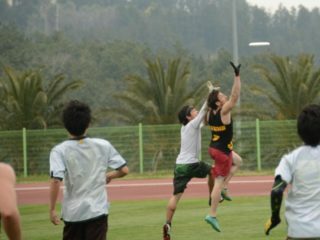 China Ultimate needs more local pioneers to give the sport a push in the right direction. Inspired by people like Dane, Kevin and Zach and grateful for the support I have received from the Chinese ultimate community during my trip in Europe, I felt the duty to return the favor and make this sport better known in China. After my media coverage abroad, I started to get invitations to give talks in universities and cultural organizations all around the country. Because of this, in March 2015, I will start a second ultimate-focused bike trip; this time across my homeland. I invite the entire ultimate community to follow along as I teach ultimate and spread spirit of the game in a country that is in dire need of it. Readers can follow Ivan’s journey on his website: ibikeworld.net.